CoolCanucks Blog Contest ~ Caprina By Canus Body Lotion And Hand Soap Review & Giveaway!! Canus is a won­der­ful Cana­dian com­pany that offers a wide range of body prod­ucts for the entire fam­ily. 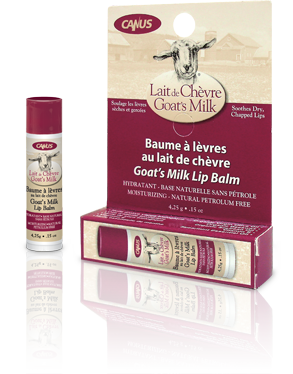 What is so dif­fer­ent about Canus com­pared to many other body prod­uct com­pa­nies is that their prod­ucts are made with fresh goat’s milk. All of Canus’ soaps and body washes are phos­phate free and biodegrad­able. Their body lotions con­tain no parabens. Their entire line of prod­ucts can very con­ve­niently be pur­chased at major retail­ers, gro­cery stores and phar­ma­cies near you. 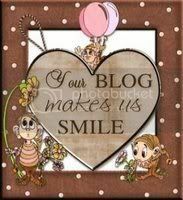 I have found since enter­ing my 40’s my skin does not stay as soft or sup­ple as it did in my younger years. Liv­ing in Canada with the dry, cold win­ters does not do much to help your skin either. 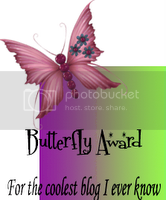 I have learned that you need great prod­ucts keep your skin healthy and glow­ing. When Canus offered to let me try out a few of the Fresh Goat’s Milk prod­ucts I totally jumped at the chance. I tested the orig­i­nal for­mula, olive and wheat pro­tein, shea but­ter and orchid oil in both the body lotion and the hand soap. Nor­mally I do not use a bar soap because the major­ity leave my skin feel­ing very dry, I opt for liq­uid soaps instead. 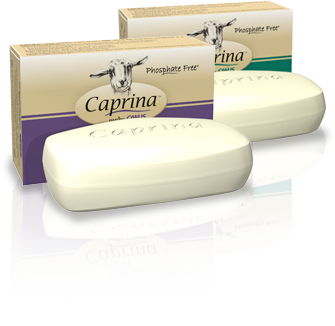 After using the Cap­rina soaps for only a few short weeks I am totally sold because my skin feels so soft after using it. I have very dry, cracked skin on my elbows and my hands always feel so dehy­drated and flaky. 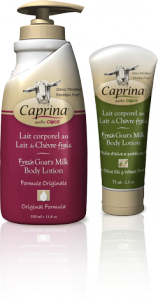 I was look­ing for­ward to try­ing out the Cap­rina body lotions to see if it would work on those two major prob­lem areas. 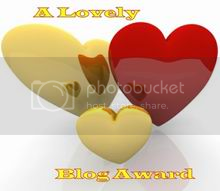 The body lotions were not greasy or oily and left my skin feel­ing per­fectly mois­tur­ized and hydrated all day long. 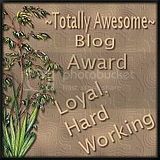 I did not have to keep apply­ing the body lotion which means a lit­tle goes a long way….and who does not want to get the most for their money! I am happy to report that this is the best body lotion and hand soap that I have used in a very long time. 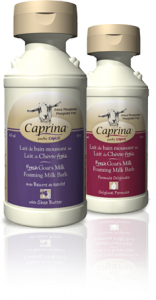 I can’t wait to go to my local retailer so I can pur­chase a few of the other Cap­rina Fresh Goat’s Milk prod­ucts and try them out as well. Make sure you check out their entire range of prod­ucts includ­ing; Mois­tur­iz­ing Clay Masks, Body­Wash, Foam­ing Milk Bath, Antibac­te­r­ial Liq­uid Hand Soap, Lip Balm and Ultra Mois­tur­iz­ing Wipes to name just a few. 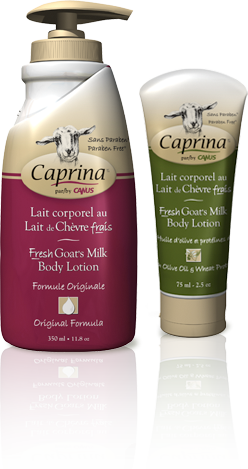 You can also get Cap­rina Fresh Goat’s Milk prod­ucts on Well.ca, the pric­ing is rea­son­able with the Cap­rina by Canus Fresh Goat’s Milk Body Lotion in the 75ml (the size I reviewed) for only 4.39 each and the Cap­rina By Canus Goat’s Milk Soap for only 1.99 each. You can’t go wrong with the qual­ity of this prod­uct or the price! Buy It!! Pur­chase at your local retailer, gro­cery store or pharmacy. Win It!! Enter my sweep­stakes give­away below for a chance to win the same items that I reviewed (4 Cap­rina Body Lotions (75ml) and 4 Cap­rina Hand Soaps)! Open to Cana­dian residents.